How Much Do Americans Plan To Spend On Kitchen Renovations In 2017? Kitchen Cabinets and Granite Countertops, Pompano Beach FL > Blog > Blog > How Much Do Americans Plan To Spend On Kitchen Renovations In 2017? According to the 2017 Houzz Kitchen Survey, Americans are planning to spend more money renovating their kitchen this year compared to the year before. In 2016, 9% of kitchen renovations cost over $100,000. While in 2015 and 2014, just 7% of kitchen renovations totaled over $100,000. In 2017, just 5% of kitchen renovations are expected to total over $100,000, but experts predict more people from the budget range below will bump up to this category by the end of the year. 9% of 2017 kitchen renovations are budgeted at $5,000 or less. 24% of kitchen renovations are budgeted between $5,001 and $15,000. 21% of kitchen renovations are budgeted between $15,001 and $25,000. 26% of kitchen renovations are budgeted between $25,001 and $50,000. 10% of kitchen renovations are budgeted between $50,001 and 75,000. 6% of kitchen renovations are budgeted between $75,001 and $100,000. 5% of kitchen renovations are budgeted at over $100,000. Will People Spend More Or Less Than Expected On Kitchen Renovations This Year? Kitchen renovation budgets are commonly busted, as people end up spending more money than expected scoring the kitchen of their dreams. This fact increases the odds people spend more on 2017 kitchen renovations than these numbers suggest. For instance, while 9% of people plan to spend under $5,000 on kitchen renovations in 2017, just 4% of renovators accomplished that budget in 2016. Additional data released by this year’s Houzz survey further proves kitchen renovation budgets are on the rise. For one, more people reported ‘finally having the financial stability to conduct renovations.’ In 2016-2017, 40% of people wanting to renovate their kitchen reported having the financial means to do so; while in 2015-2016 that number was at 37%. 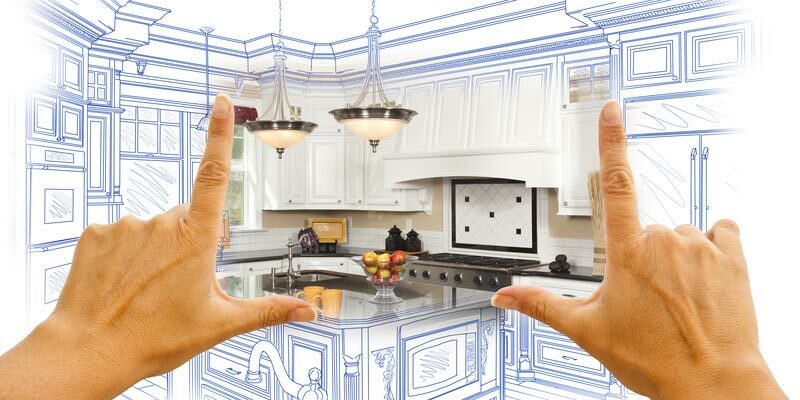 Over the last 3 years, recent homebuyers have fueled kitchen renovations accounting for 28% of all projects. Why Are People Renovating Their Kitchens? The reason you’re renovating your kitchen has a lot to do with your budget. For instance, people tend to spend a lot less on kitchen renovations intended to help sell a home and increase overall value. 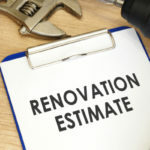 On the other hand, if you just moved into a home with an outdated kitchen that you can’t wait to gut for your personal use and pleasure, you’re likely to spend more money on renovations. 24% feel their old kitchen is too worn down to be safe or usable any longer. 11% were recently inspired by some outside source to make changes. 10% are upgrading the kitchen to account for family and lifestyle changes. 8% are renovating the kitchen to increase resale value in preparation for listing their home on the market. 8% claim “other” as their reason for renovating the kitchen. In 2014-15, just 29% of people renovated their kitchen because they could no longer stand the look of their old kitchen. That number jumped all the way to 43% in 2015-16 and 2016-17. In 2014-15 and 2015-16, 37% of people finally had the means to upgrade their kitchen, although they had wanted to do so for a long time. That number increased to 40% for 2016-17. From 2014 to 2017, 28% of people report recently purchasing a new home and wanting to make it their own through kitchen renovations. 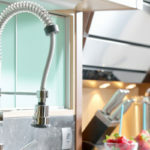 Your kitchen renovations are going to cost more money if you take down walls, move appliances or make other large changes that require a plumber, electrician and/or an architect. 51% of renovators plan to open up the kitchen to other rooms in the house, and 20% plan to open up the kitchen to the outdoors. Making your kitchen larger or opening it up to other rooms in the house is incredibly popular and can add a lot of value to your home. 95% of renovators plan to upgrade kitchen countertops. Countertops can be pricey, but that’s because they last for many years and are one of the most important elements in your kitchen. There are cheap countertops out there but they won’t look as good or last as long. 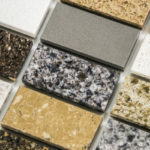 We recommend sticking with long-lasting high quality materials, like granite. If granite seems out of your budget, that’s because you haven’t shopped our top-notch granite available to you at wholesale prices. 81% of renovators plan to upgrade cabinetry. 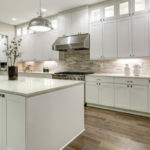 Cabinets are another costly element to a kitchen remodel, but they are capable of completely transforming a space in terms of looks and functionality. Plus, quality cabinets will last for decades without fail, making them well worth their price tag. We can help you save hundreds or even thousands of dollars on cabinets thanks to our wide selection of high quality wood cabinets offered at wholesale prices. You can save a lot of money on your kitchen renovations by buying your wood cabinets and granite countertops from Tops Kitchen Cabinet. We offer top quality materials at wholesale prices you can’t beat anywhere.